Happy New Year, GORGO Girls! Beautiful on a ballerina's toes. Admired on a farmer's hands. Respected on a GORGO girl's palm. A symbol of consistent commitment to work. No one ever got a callus from occasional friction. 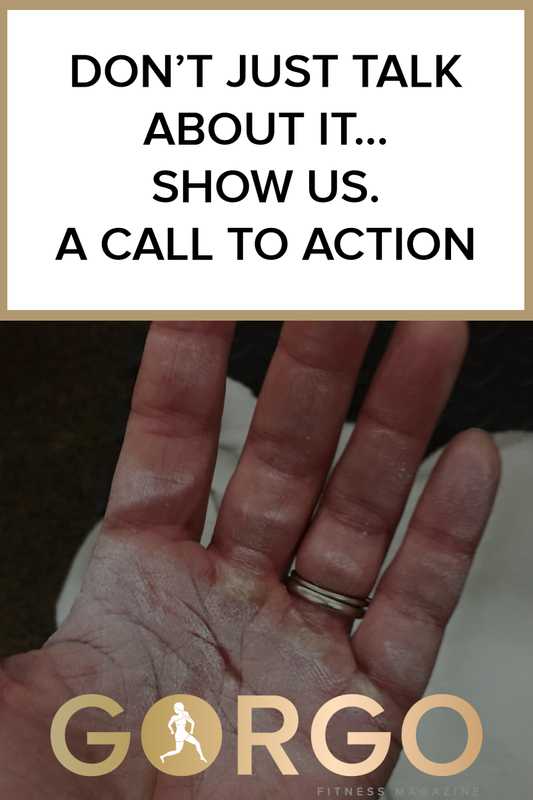 Calluses speak for themselves. They tell a more interesting story than the scale. They show you put in effort beyond what average, soft, delicate palms could handle. They show you pushed your limits not just once, but so many times your body is adapting. It's like the little beast within is showing a little bit of herself. Calluses are a commonality amongst fellow hard workers. You toughened up when the going got tough. Literally. They show you aren't just talking about it, you are doing it.